The Hellier Street Gospel Hall at Hellier Street, Dudley, now seems to be sinking below the road, as seen in the 2006 photograph above. The key person who played a part in developing this assembly was Evan Griffiths, a herbalist and chemist of King Street. 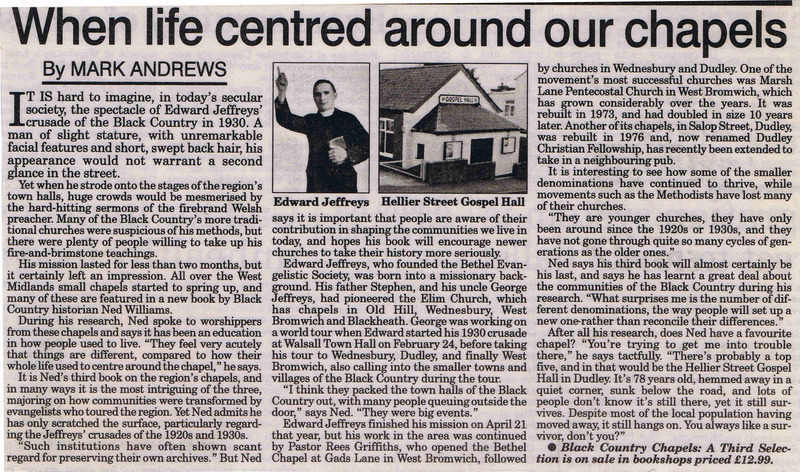 In the 1920's he formed an assembly that met in a room above the post office in Salop Street, Eve Hill, but this was a long way from the Flood Street area where he felt a mission would be of greater use. Eventually he found this plot of land in Hellier Street and the members of the assembly raised money and built the hall themselves. Although the sign on the building suggests that it opened in 1931, it seems likely that it opened before Evan Griffiths' death in December 1930. A Hellier Street Gospel Hall summer outing to Church Stretton, 1950's. On the right of the group stands Bill Horan who was caretaker of the hall for many years. His wife, Elsie, is sixth from the right and she kept the hall clean. Elsie, was a member of the assembly before they moved to Hellier Street and was there when the new hall opened. 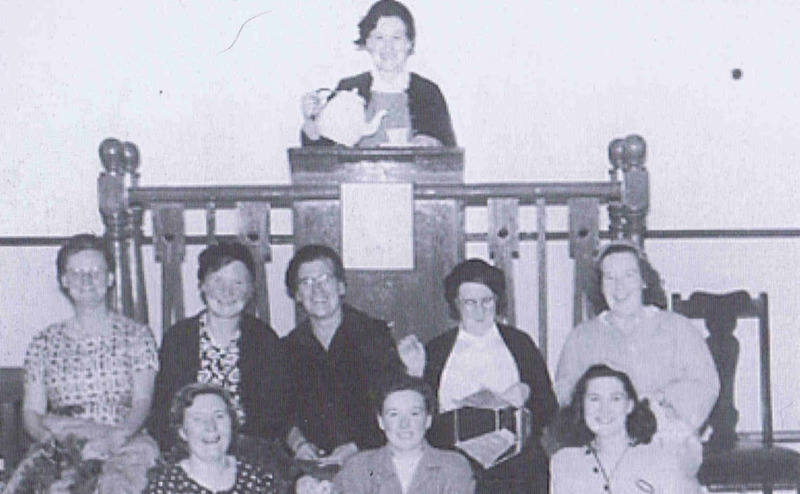 Elsie Horan presides with teapot in hand at Hellier Street Gospel Hall ladies' sewing class in the late 1950's. She stands in a platform-mounted pulpit, built by Benjamin Hall of Oldbury and Hebron, all of which has been removed. Back row, left to right: Hilda Smart, Gladys Darby, Florrie Lloyd, Esther Darby, Maureen Boardman. Front row: Mary Bullock, Margaret Darby and Jean Smart. 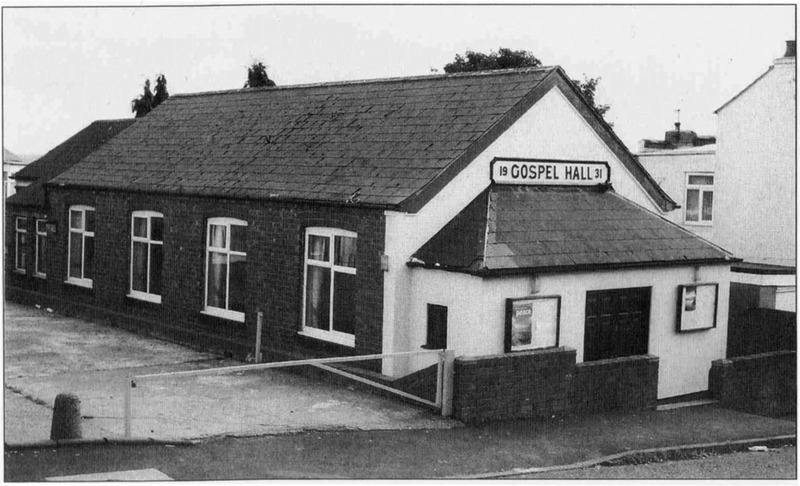 The front of the Hellier Street Gospel Hall has also changed over the years. 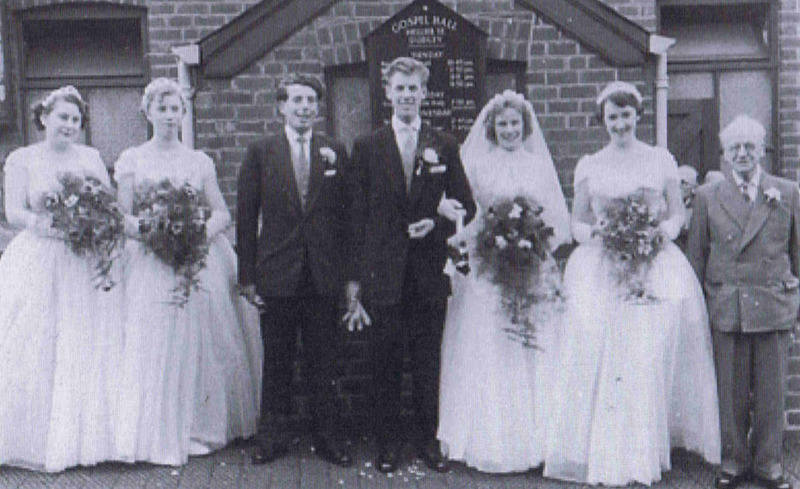 This picture was taken on 9th March 1957 at the wedding of Shelia Ashman and John Smart. Left to right: Hazel Brooks, Maureen Yates, Valentine Shaw, John Smart, Sheila Smart, Gillian Dudley and Matthew Ashman. 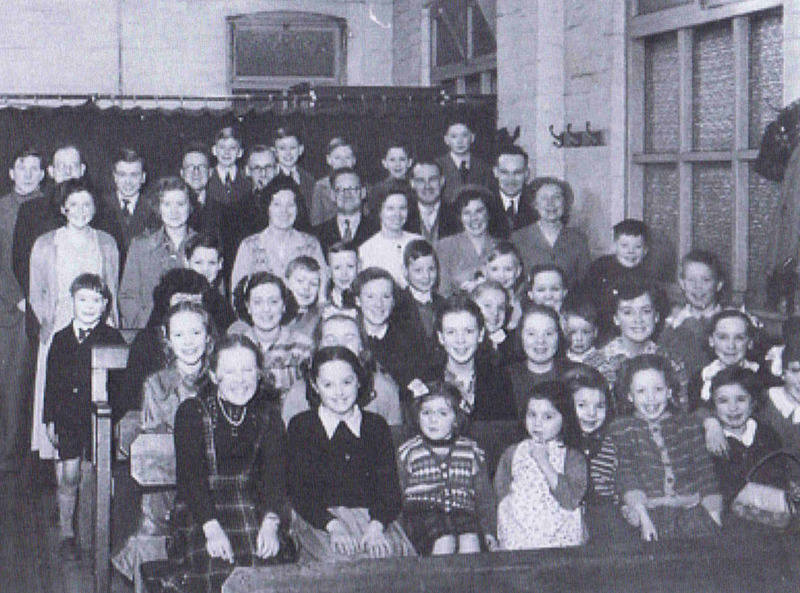 The Sunday School at Hellier Street was an immediate success. This group, photographed in about 1950, is probably the Saturday Afternoon Group, rather than the Sunday School. The adults in the second and third rows are as follows (men): Jack Marsh, Gerald Mills, Walter Massey, James Smart, Bill Horan, Ken Evans: (ladies): Hazel Trumper, Mary Hill, May Middleton, Eunice Horan, Margaret Rayden and Mary Bullock. The bare brick walls seen in this picture have since been plastered, and the curtains across the hall to create a vestry has disappeared as the hall has been extended and improved. The old benches have long since been replaced. 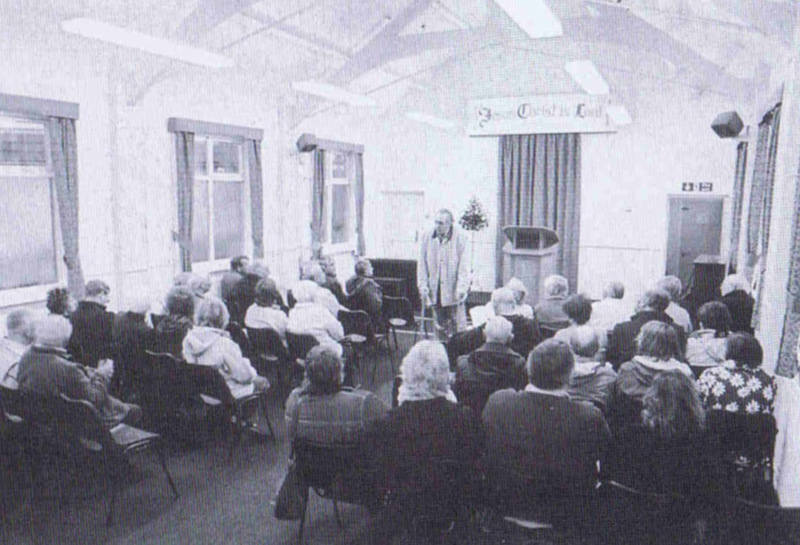 Ned Williams addresses Black Country Society members on a visit to the Hellier Street Gospel Hall in May 2006.